I used the simple potent call and response from the very outset of my workshops in 1975. This was based on the warm-up exercises learned from Ethel Raim’s Balkan singing workshops. For the first two years of workshops, I had a room with chairs and we moved between sitting and standing. I then moved to a dance studio with no seating. It got tiring either standing or sitting on the floor for the entire duration so I started to use simulated work movements. Initially, the calls were “hay” or “ee”, but over the years they have elaborated into made-up language with a much wider range of sounds, colours, and expression. I make these sounds up on the spur of the moment and continue this process for some four to five minutes so the sounds can gather impetus and energy. The thing that still excites me about this exercise, which has become the “leitmotif” of my work, is the number of people over the years who, despite being convinced they’re “tone deaf”, have within an hour or so of the start of a workshop found themselves following quite complicated pitches perfectly. This was summed up beautifully by a woman who said: “I came here convinced I couldn’t sing – and you snuck it up on me – and I can!” She was right. 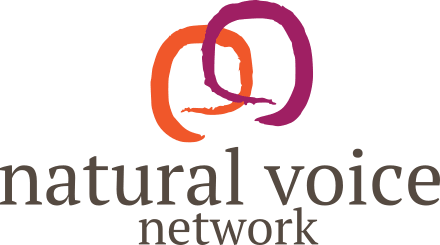 Extract from The Complete Voice & Speech Workout (book and CD), edited by Janet Rodgers. Below are two videos: one of Frankie demonstrating Hoeing and Gossiping, and the second of NVN member Gitika Partington using the same technique adapted for a warm-up with children.